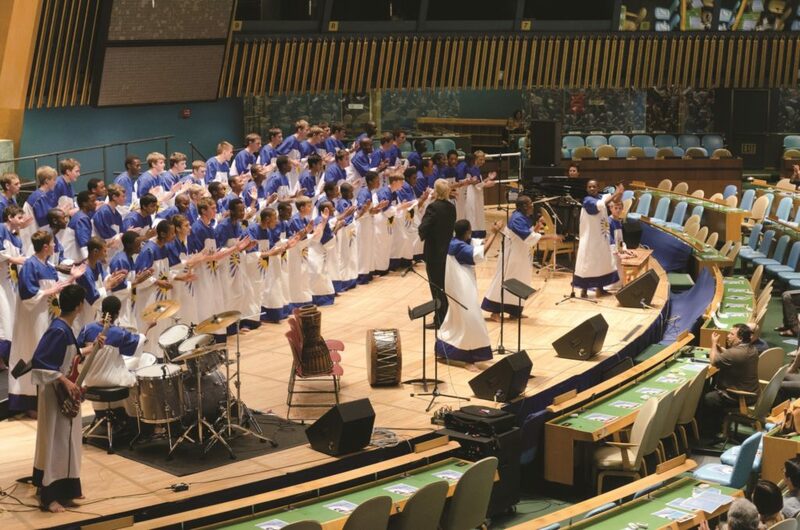 New York, NY – Nowhere was the richness of choral expression – and its ability to foster intercultural goodwill – more evident this past June than at the first annual ‘Rhythms of One World’ international choral festival in New York City. The festival is one with a mission: to promote peace through cultural exchange, which is inscribed at the heart of the Friendship Ambassadors Foundation (FAF) vision for a more mutually-cooperative world. Beyond that, it was the first ever celebration of the birthdate of the United Nations (June 26, 1945). 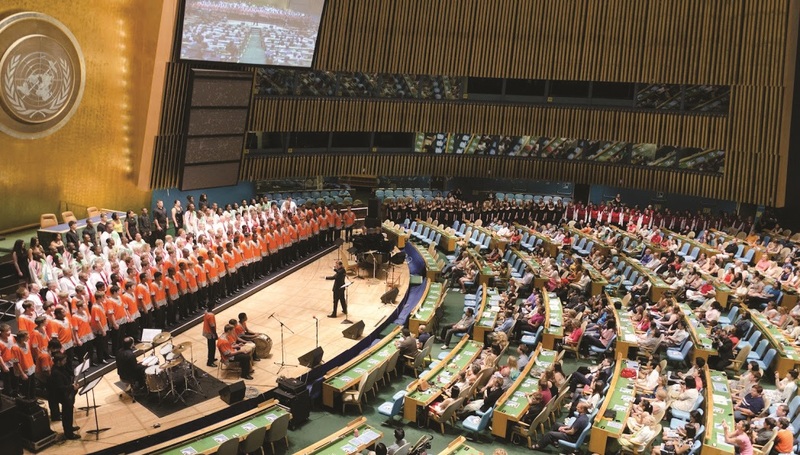 A very special, televised concert was staged at the iconic General Assembly Hall of the United Nations, shortly before its long time closure for renovations, to a large, appreciative audience of diplomats, and other, special guests. Proceeds from the virtually sold-out Avery Fisher, Lincoln Center Concert were donated to a variety of international NGOs and was favorably reviewed by the New York Times and in other media. 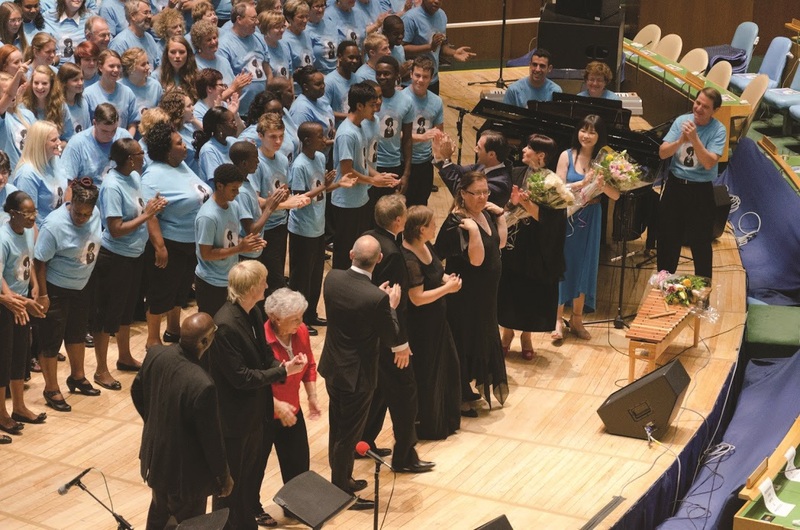 The brainchild of Yin-Chu Jou and Patrick Sciarratta of FAF, and led by Emmy-Award winning composer, Festival Artistic Director Gary Fry, this non-competitive festival brought together seven elite choral ensembles from all corners of the globe. The choirs were selected for their excellence and their ability to present music of their indigenous cultures. The result was remarkable, with groups that were not only supremely musical but which spanned the spectrum of ages, geographical locations, and musical genres, much to the delight of their appreciative New York audiences. From Australia came the University of Newcastle Chamber Choir (Philip Matthias, director) with their colorful repertoire of music that incorporated Australian birdsong imitations and harmonic overtone singing. The renowned Norwegian Girls Choir (AnnaKarin Sundal-Ask, Director) presented the music of Grieg as well as contemporary Norwegian composers in dramatic fashion. The traditional American folk music of Appalachia, presented with accompaniment from fiddle, banjo, guitar, and bass, formed the core of the engaging repertoire of the Appalachian Children’s Chorus from West Virginia (Selina Midkiff, Director). 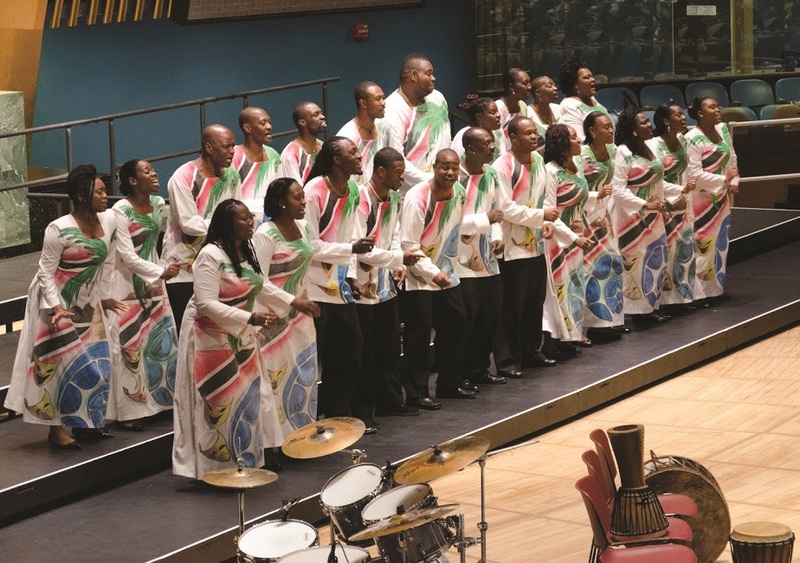 The infectious rhythms and appealing harmonies of Caribbean song made for a joyful presentation by the colorfully costumed Signal Hill Alumni Choir (John Arnold, director) from the island nation of Trinidad and Tobago. The Luxembourg-­based Voices International (Thomas Raoult, Director) boasted 22 different nationalities of singers within the group, and offered up a varied repertoire of European classical music as well as spirituals and popular selections. The music of Inuit Eskimo artists was the unique fare of the Canadian representative to the festival, the County Town Singers (Barbara Ouellette, Director). And 65 young men from South Africa sang and danced a riveting program of African music, complete with prop spears, gumboots, and tribal drums, as their Kearsney College Choir (Bernard Krüger, Director) made the festival their first stop on an extended American tour. The end of their concert tour, also facilitated by FAF, saw them achieve a Gold Medal and a Championship Title at the World Choir Games in July. 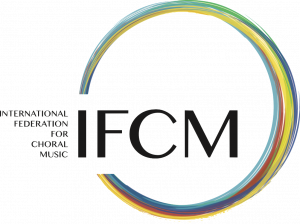 Anyone who attended the festival concerts experienced the world of traditional, popular, and regional choral music in a way not found anywhere else. 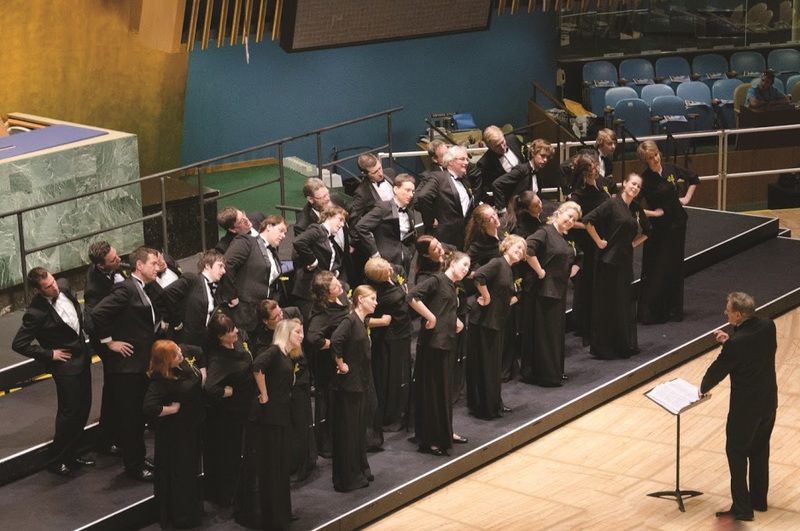 And anyone who observed the camaraderie and joyful spirit among the singers, as well as engaged audiences at each venue, could clearly see the power of choral music as a beautiful means of fostering international friendship. The annual festival and its message will provide a worthwhile step towards a more peaceful world. The weeklong festival gave ample opportunity for each choir to present full individual concerts, to give workshops pertaining to their cultural repertoire, and to participate in massed choir performances. The individual concerts were presented in venues such as Merkin Hall at the Kaufman Center, more intimate (at 450 seats) and acoustically favorable for choral programs. These performances were particularly enlightening for audience members, as directors shared insights and background on the repertoire and its musical and cultural significance. Choristers learned from each other at the varied workshops. Those who attended the workshop by the Kearsney College Choir were taught an African song in the Zulu language, complete with movement. The University of Newcastle Chamber Choir used the music of Australian composer Iain Grandage to give a fascinating seminar on harmonic overtone singing. Such workshops were an interesting and educational glimpse into styles of music often unfamiliar to choirs outside of those countries. The festival was highlighted by two massed choir concerts, in which each choir performed a short program and combined to form a massed choir of 350 singers. The first of these spectacular, choral collaborations began with the massed choir performance of Song of Peace (set to Jean Sibelius’ familiar ‘Finlandia’) arranged by Festival Artistic Director Gary Fry to include an a cappella chorale opening and a powerfully rhythmic conclusion with African percussion. In the Lincoln Center and UN concerts, each choir then performed individually, with an enraptured audience enjoying a cascade of differing musical styles as if globetrotting to seven exotic locations. Finally, all the participants came together in a jubilant performance of Fry’s Rhythms of One World, a contemporary song of celebration especially commissioned for the festival. There was satisfying symbolism in the fact that for the opening number of the concert, all the choirs were dressed in their respective costumes, but for this final number all wore the exact same festival attire. The audience was taught a phrase of the song and even became part of the massed choir. 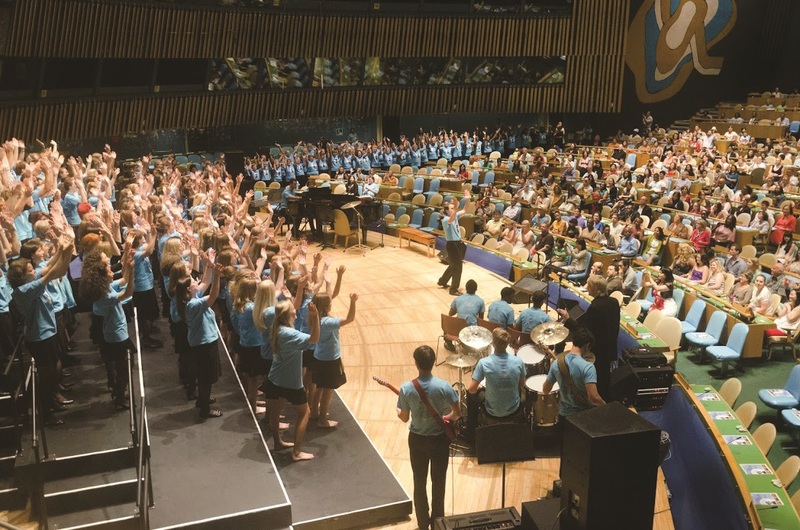 The culmination of the festival was the second massed choir concert, this time not in a traditional concert hall, but in a place known around the world for efforts to promote international peace: the General Assembly Hall of the United Nations. It was here that, beyond the music, the concept of the festival struck a resounding chord. Here, in a place accustomed to speeches, rang the glorious sound of people from around the world singing to celebrate both their diversity and their unity. Here, in a place too often concerned with conflict and contention, there was harmony in both the musical and the human sense. Here, there was music, and a profound feeling among the assembled dignitaries that these practitioners of the choral art also offered a meaningful example of intercultural respect, cooperation, and friendship. Here, the mission of the festival was truly recognized.